In looking to put last year’s rough moments and apply for what he has learned over the past two seasons, Stewart feels he is capable of scoring a couple heat wins, and possibly picking up his first career feature victory. While some may be quick to note that his goals seem more achievable with the shift of some drivers moving up classes in 2019, Stewart knows that everything doesn’t quite appear as it may seem. “A lot of great drivers have moved on from the mini stock division at Sunset but there are many more great teams around and a lot of quick cars to beat,” he noted. In the limited amount of races that he was able to participate in throughout 2018, Stewart showed that he is gaining speed, scoring three top-10’s with a season-best sixth-place finish on September 8. Although focused on his own racing endeavors, Stewart is expanding his S2RT Racing outfit to enter a pair of entries in Sunset Speedway’s ever-growing Bone Stock division. The expansions may lead some to wonder about the possibility of seeing Stewart at other tracks this summer, but that isn’t in the cards quite yet. 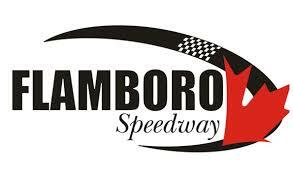 He says the number one goal focus is running Sunset Speedway, with the chance of traveling to other places in 2020. For Stewart, his interest in racing began at a young age through watching the action at Barrie Speedway as a kid. Based on the experience that he has been able to garner through the past couple of years, he says the key for anybody just starting out to remember to be patient, while getting as much as seat time as they can and listening to advice that is given from others in the pits. “Not all advice that you get will work for your car or driving style, but if it makes sense, give it a try,” he commented.